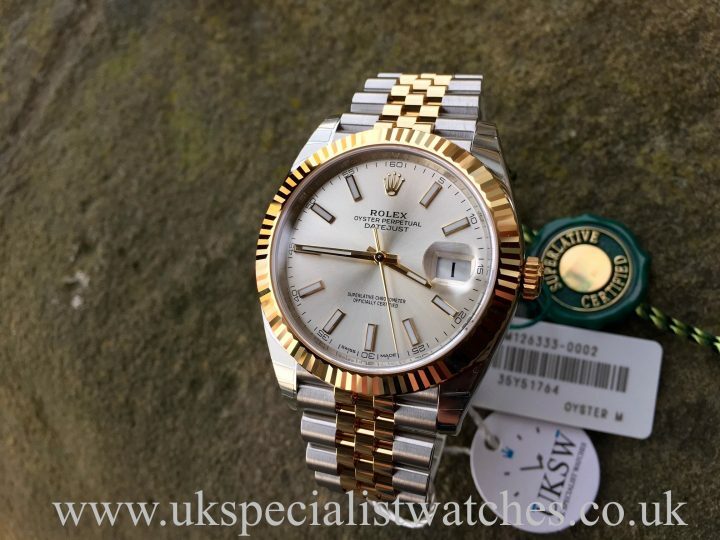 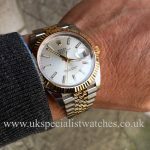 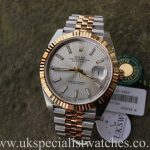 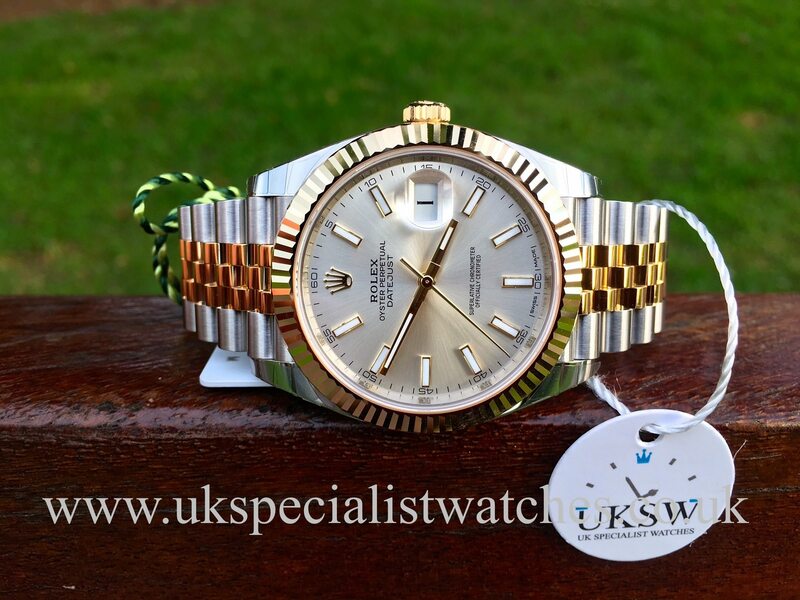 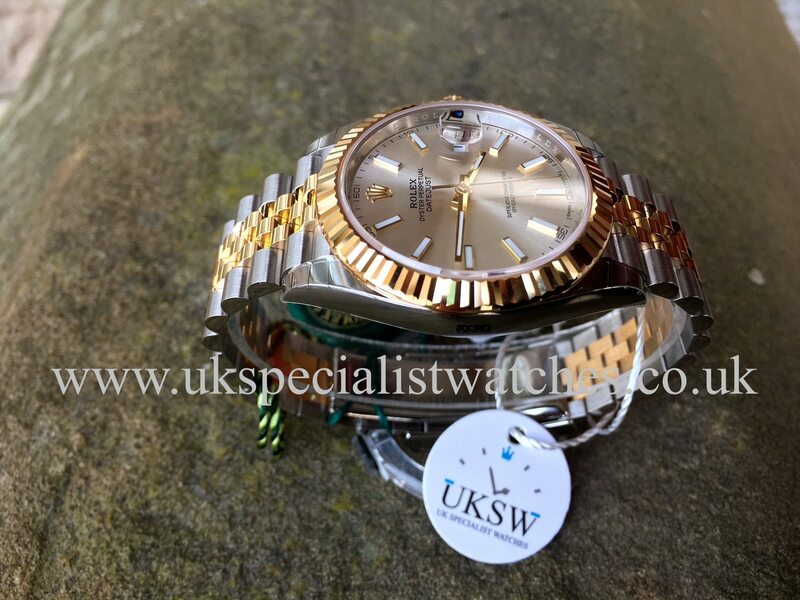 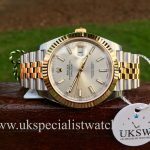 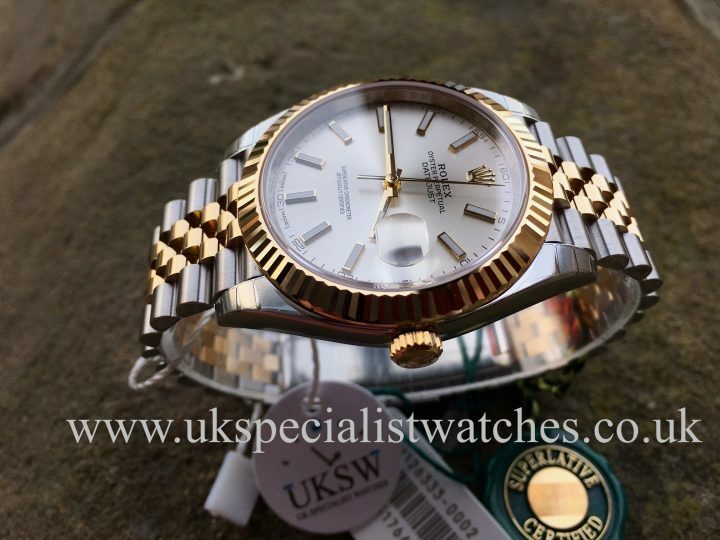 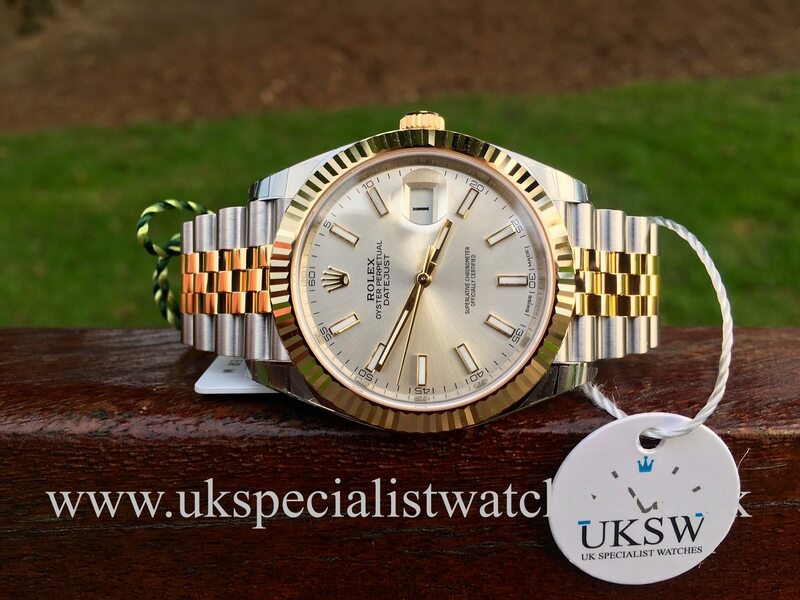 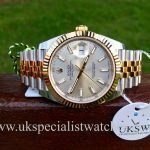 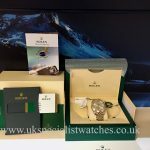 Rolex Datejust 41- ref- 126333. 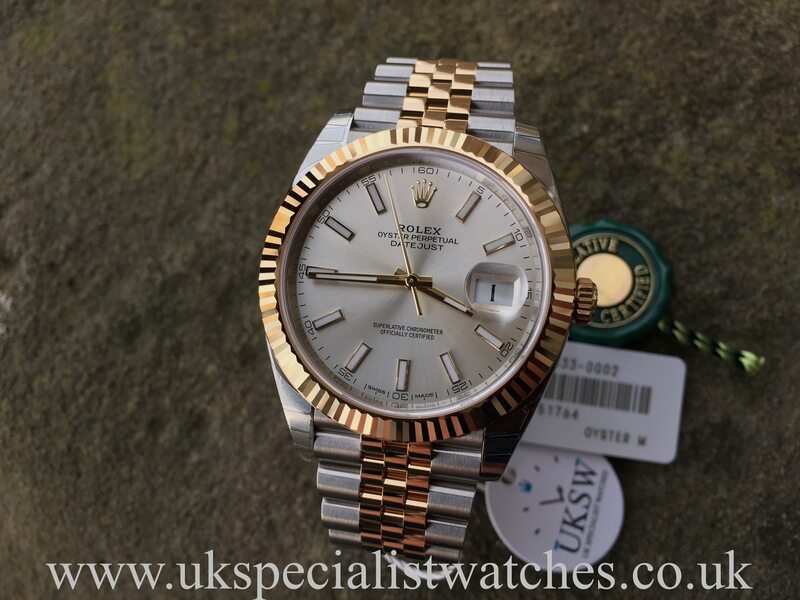 New Unused. Larger 41mm Stainless Steel case with silver dial, luminous hands and gold baton hour markers. 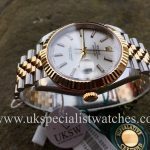 Solid 18ct yellow gold fluted bezel. 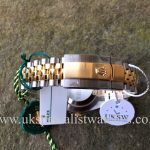 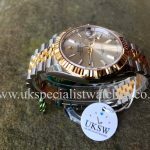 Fitted to a solid stainless steel and 18ct yellow gold jubilee bracelet with the latest style double folding clasp. 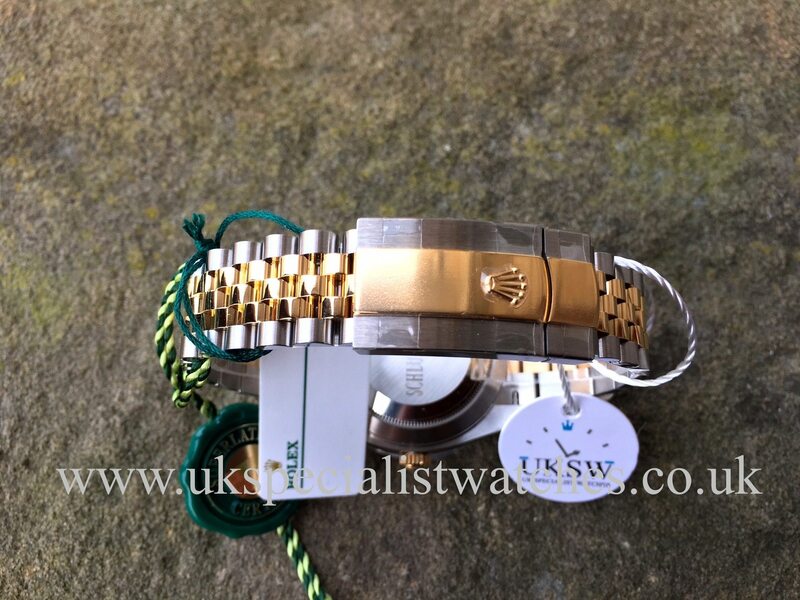 This watch is completely UNUSED with all case and bracelet stickers still intact. 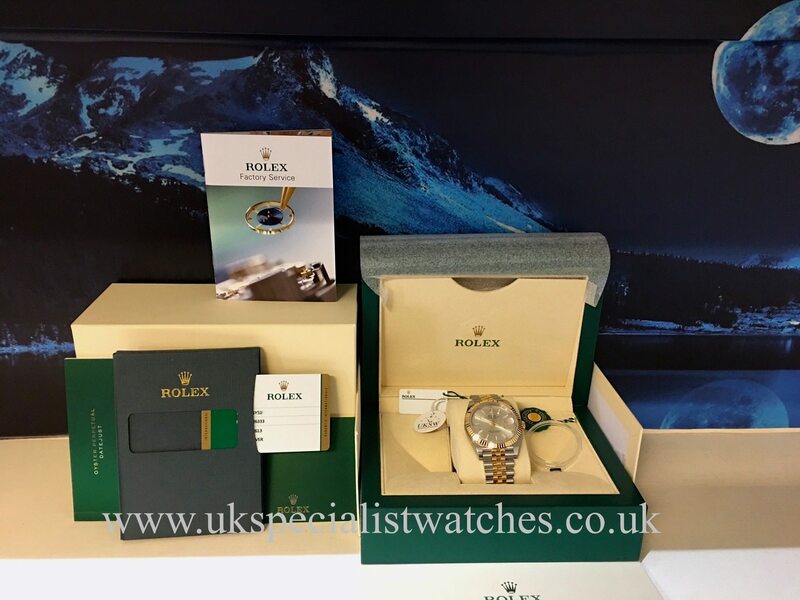 Comes complete with both boxes, stamped warranty card dated 23/09/16, both swing tags and booklets. 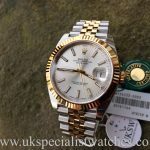 This watch currently retails for £9,350!